The patented production technology with pre-designed patterning of diamonds within the segments improves diamond tools performances through the perfectly even and equidistant distribution of the diamond. 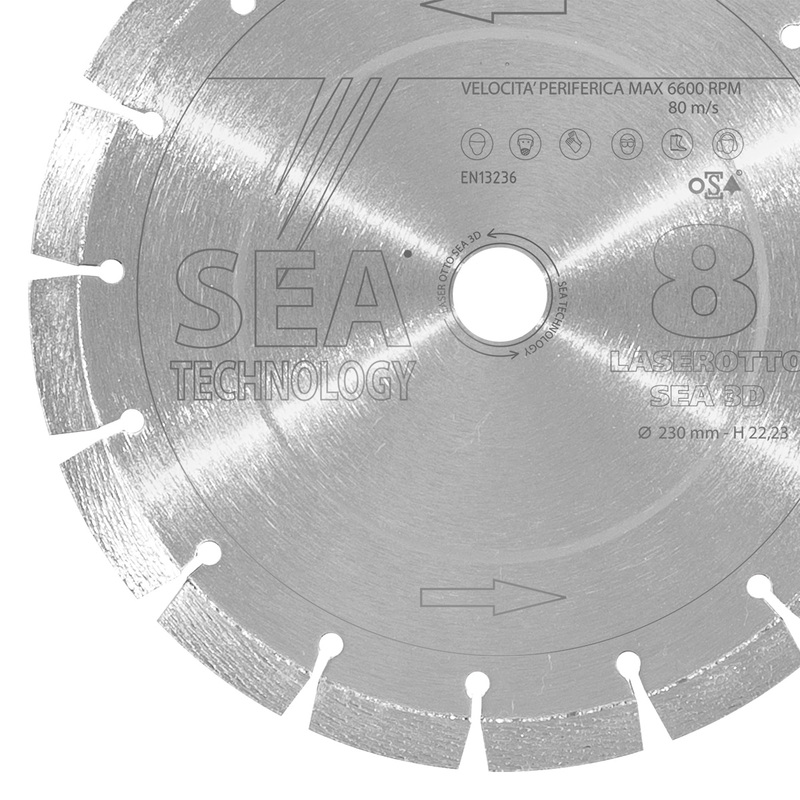 It lasts from 30 to 100 % longer and its cutting speed is between 30 to 70 % faster compared to a diamond blade of a similar category produced with traditional technology. The diamond is covered by a protective layer of titanium. In practice the cutting is super on all materials and the performance remains constant over time.